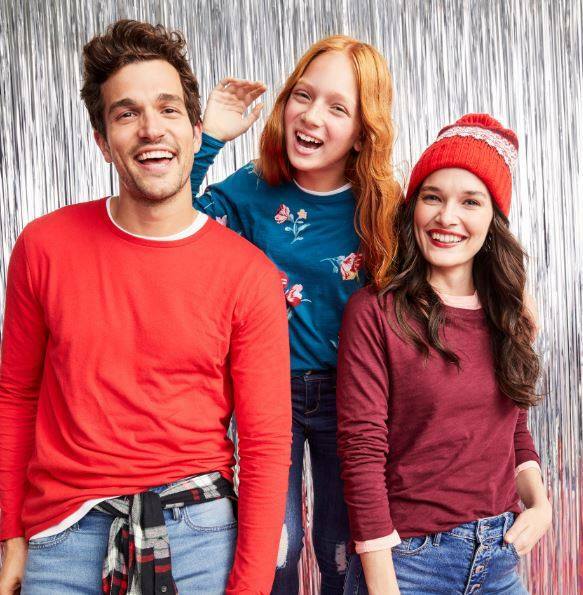 Old Navy, Banana Republic & Gap Canada Sale: Save an Extra 10% Off Using Promo Code + 45% Off & Free Shipping at Gap + More! A sweet deal is happening at Banana Republic Canada, Gap Canada and Old Navy Canada. When you shop online at any of the three stores you will save an extra 10% off everything! To get this discount, use promo code FAMILY. In addition to that, you can save 45% off everything plus free shipping at Gap using promo code GAPTHANKS. You can also save 40% off your purchase at Banana Republic, and receive free 2-3 Day Shipping on your purchase of $150+ when you use promo code BRSHIP. These deals end at 11:59 pm ET on December 10 2018. Some restrictions apply. Click here to begin shopping at Banana Republic. Click here to begin shopping at Old Navy.